Send one student! Your donation will help defray the costs for one student to attend a school performance. Your donation can help to cover the ticket cost for one of our guests for Community Service Night. Your donation can help cover the cost to maintain our costumes. 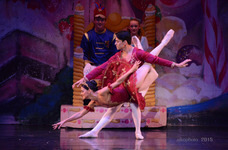 Every year, Community Nutcracker delights audiences of all ages with its performances of the holiday classic, The Nutcracker Ballet. 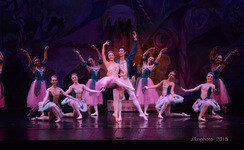 More than 200 dancers, from age 9 to adults, from Northeast Florida audition and perform in the productions. In addition, Community Nutcracker gives away 2,000 tickets to various Jacksonville agencies and organizations so their staff, clients and residents can attend a Community Service Night performance. We also perform special shows for local schools, providing an enriching experience for students at a reduced cost. Community Nutcracker continues to spread joy by donating the proceeds from their performances to other local non-profits. Our major partner is Dreams Come True, a non-profit dedicated to helping terminally ill children realize their dream. Your donations can help defray our costs which increases our ability to give back to the community.